So as you guys know, my Cutlass is in dire need of restoration. However, my heart is at war with my head. You see, this car has so far cost me $1450 or so, and if I sold it now, it would be worth $1200. 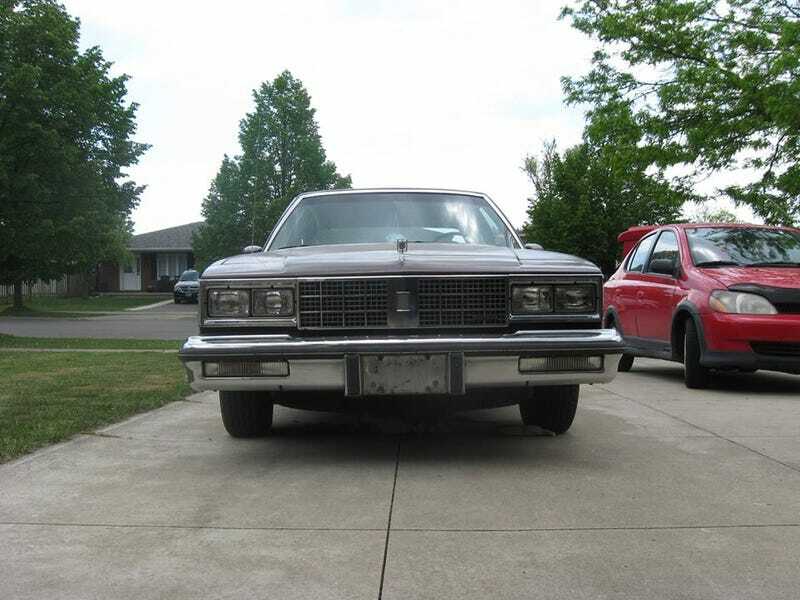 However, I have found another GM car that is 18 years younger, has 67,000 fewer kms (almost 42,000 fewer miles), needs less than $150 in parts to be roadworthy, and costs $850. So what’s the catch? This is the catch. It’s a base-model, automatic 2002 Cavalier. Now at this point, you might be feeling like this. Why would I sell my beloved Cutlass for a piece of crap like this? Well, I’m not sure I want to sink any more money into the car. Couple that with the fact that these cars show up in junkyards everywhere, and the fact that this car is way cleaner than my Cutlass, and you can see why I’m tempted. What do you think? Should I sell the interesting money pit for a boring car, or should I keep the interesting car so that I don’t have to drive around a Cavalier?